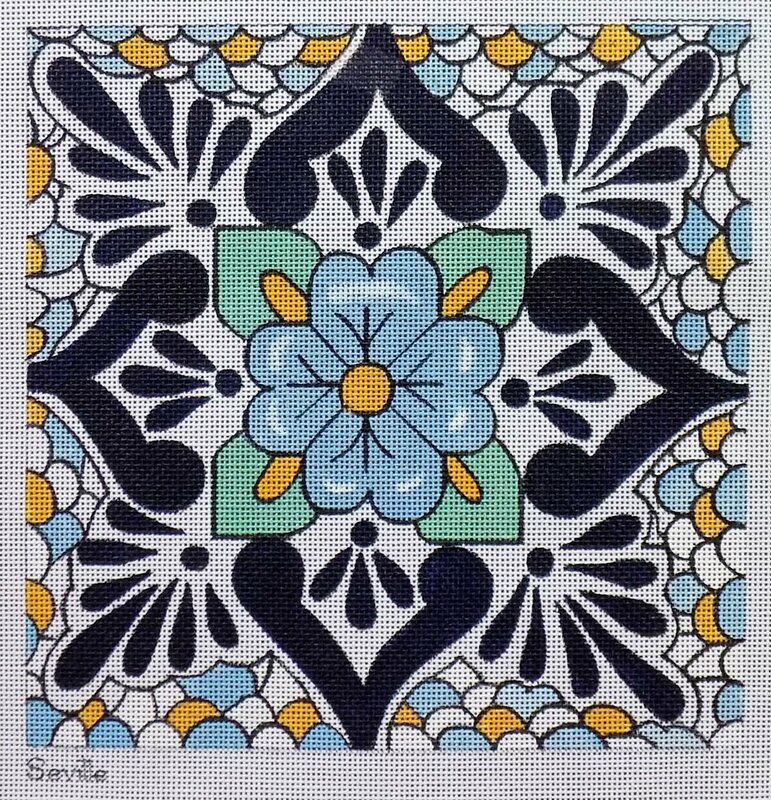 Based on a terracotta tile this handpainted needlepoint design features blues, teal and yellow. 8" x 8" on 18 mesh. This website is wholesale to the trade only.